Sir Peter Lampl is the Founder and Chairman of the Sutton Trust which aims to improve social mobility through strategic philanthropy. It has funded and evaluated programmes which have helped hundreds of thousands of young people and published over 200 research studies. He is also chairman of the Education Endowment Foundation set up in 2011 by the Sutton Trust with support from Impetus Trust funded by an endowment of £125 million from Government to improve the performance of the poorest children in the most challenging schools. Before establishing the Sutton Trust in 1997, Sir Peter was the founder and chairman of the Sutton Company, a Private Equity firm with offices in New York, London and Munich. He was educated at Reigate Grammar and Pate’s Grammar School before moving into higher education at Corpus Christi College, Oxford and the London Business School. 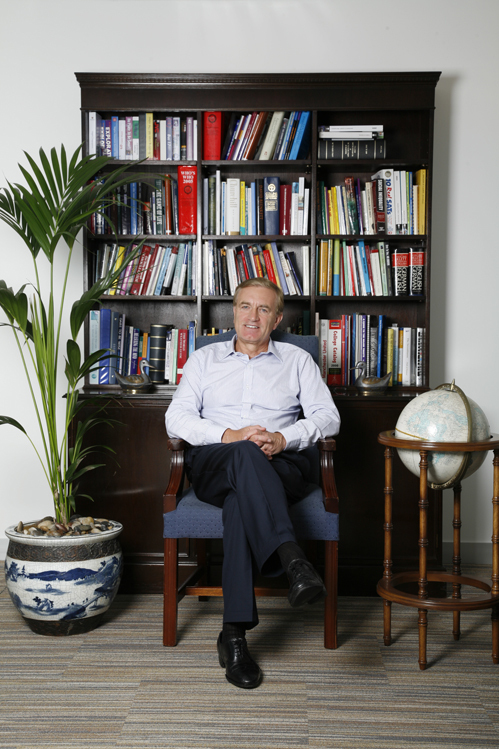 Sir Peter has a Bachelors and Masters Degree from Oxford and an MBA from the London Business School. Prior to joining the Sutton Company in 1983, Sir Peter worked in a number of high profile cities across the world. He worked for four years as a management consultant at The Boston Consulting Group in Boston, Paris and Munich before working in a number of senior management positions in New York at International Paper. The trust funds a variety of research, campaigning and philanthropical projects, including the “Open Access” experiment which funds 70% of places at the academically selective Belvedere School in Liverpool. Sir Peter has been highly recognised for his work with the Trust and in June 2003 was knighted in the Queen’s Birthday list. He was also awarded an OBE in 1999 for services to Access to Higher Education. He also received Honorary Doctorates from: Birmingham, Bristol, Brunel, City University (London), College of Law, Durham, Exeter, Imperial College (London), Nottingham, Open University, St Andrews. Honorary Fellowships from: Birkbeck College (London), Corpus Christi College (Oxford), Institute of Education, London Business School, London School of Economics.